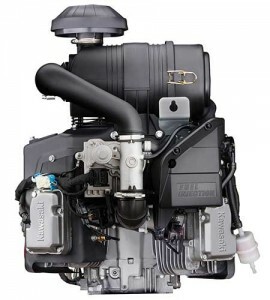 Kawasaki ’s new FX730V-EFI engine will be available on select models of FX Series and FS Series engines, with plans to incorporate it in additional models. The new 2.5 hp open-loop engine features a multi-port sequential fuel injection, a high-pressure fuel system, an engine control unit that continuously monitors ambient conditions and engine performance and engine temperature monitoring to guard against overheating. In addition to a PC or tablet plug-in diagnostic system, the FX730V-EFI features the company’s SAE Certified Critical Power, ensuring that engines deliver a minimum of 98 percent of rated horsepower.